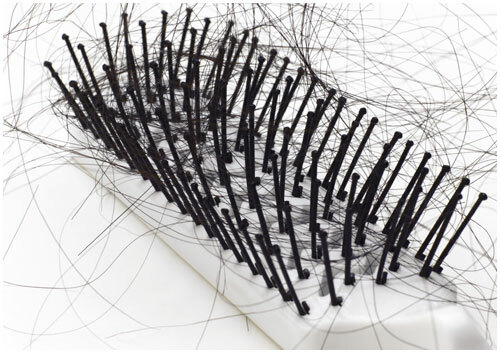 HomeTagsPosts tagged with "hair loss"
There's no doubt about it: losing our hair can be a scary thing. If we see it thinning or falling out, the first reaction can be to panic. But shedding hair is a part of everyday life; it's totally normal, in fact. We lose about 80 strands a day on average but for many women, alarm bells may start to ring if they start to lose significantly more than that. You'll know what's normal for you – and when you need to start doing something about it. What you eat can play a significant role in hair thinning. High consumption of animal fats, rapid weight loss and liquid protein diets can result in a lack of amino acids, biotin, iron, protein and zinc – all of which are essential for healthy-looking hair. 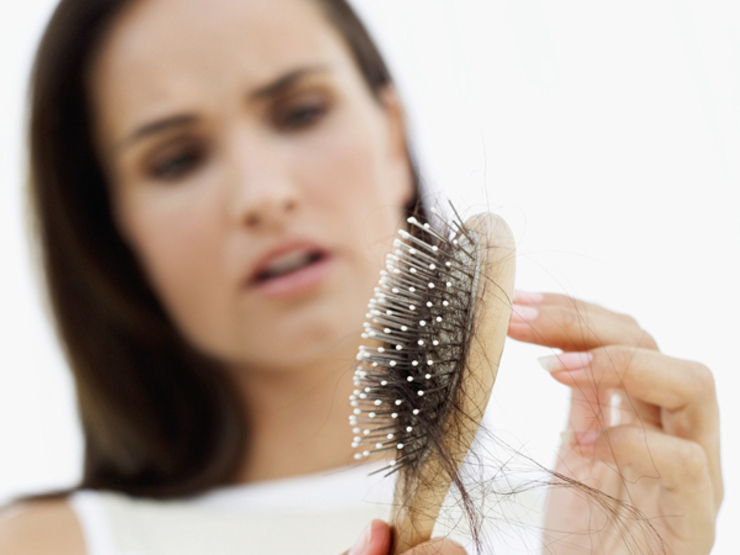 Natural, age-related hormonal change can trigger hair loss. This is caused by the conversion of testosterone into the toxin Dihydrotestosterone (DHT) and can be inherited from either your mother or your father. Stress can produce increased levels of testosterone, which converts to DHT and interrupts the hair's growth cycle. Stress also constricts blood supply through the capillaries, restricting oxygen and nutrient uptake and vitamins to the follicle. 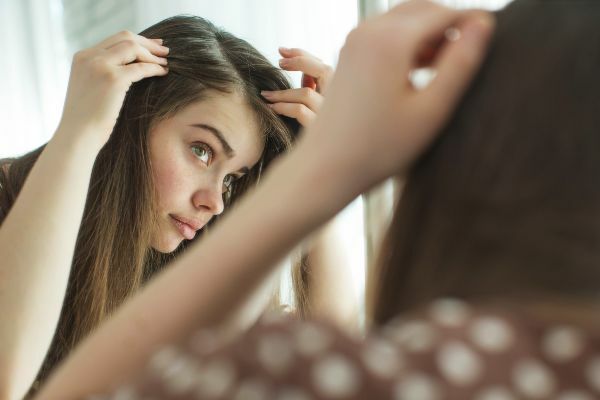 Several underlying health issues can cause hair thinning, including a malfunction of the hormone-producing thyroid or the natural hormonal changes women experience after pregnancy and during menopause. The hair follicle is incredibly sensitive to changes in the body. Any hormone therapy (including birth control) can contribute to hair thinning as can steroids, specific chemotherapies and medication for blood pressure, diabetes, heart disease and acne. Know when it becomes an issue – if you're noticing it shedding excessively, visit your GP. Treating your hair with the right products can help massively – Nioxin, a brand created to treat thinning hair is available in all Peter Mark salons, and is an excellent starting point. Change up your diet – eating lots of protein-rich foods (oily fish) and extra carbohydrates (fresh fruit) will help. Be sensitive about styling – avoid that topknot or any other styles that that place traction on the hair and hair follicles. Look after you – one product or thing won't help hair growth alone – it's important to look at your overall health and remember that hair can take at least six weeks to fully grow back. Aside from a scattering of high-profile women who deign to admit the reality of the post-pregnancy life, Hollywood would have you believe that A-list stars sail through pregnancy, labour and the months which follow experiencing little more than a subtle stretchmark and a mild case of indigestion. With that in mind, it's refreshing to hear that one of the entertainment industry's biggest stars is keen to shed light on the various side effects experienced by women after becoming mothers. Speaking candidly to Elle magazine, Glee star, Naya Rivera, admits that following the birth of her son, Josey, in 2015, she began losing her hair. Love love loving this updo for @therealdaytime today! Here we go!!! "There's a real post-partum hair-thinning issue, and nobody talks about it because women are so embarrassed to admit they're losing their hair. But it's a real problem," the actress told the publication. In an industry which prioritises appearance over much else, Naya was initially disappointed she didn't experience hair thickening during her pregnancy and then panicked by the sudden hair loss following her son's birth. "I didn't get crazy thick amazing hair at any point during my pregnancy. I was expecting it, and waiting for it, and it never happened. I was like, "Where is my awesome part of the pregnancy bargain?" I didn't grow some amazing mane," she said. "On top of that, with the dramatic drop in hormones that comes with breastfeeding, and then not breastfeeding, and the whole birth process, the parts around my scalp were thinning and breaking, and nothing seemed to repair them." The star, who filed for divorce from Ryan Dorsey in November of last year, sought the help of the Glee crew, but admits there was little they could do for her. "I would be working 16 hour days, which is normal for TV, and my hair would be in a tight ponytail that whole time. They kept spraying it with hairspray, and when I got home, it looked and felt like dried lasagna." "Above my ears, it looked like it had been burned off with a hair iron or something. And my scalp was so dry from heat styling," she added. Nowadays, Naya preempts any damage with a strict routine, saying: "I got to the point where, if I knew I was doing a ponytail day, I would basically coat my hair in coconut oil the night before. And to this day, I'll do that before a ponytail day. Seriously. It requires a lot of prep." It's pretty refreshing to hear a celeb get real about these issues. It's not exactly the most pleasant thing to talk about but in reality our hair falls out every day. Whether it's on our hair brush, down the drain in the shower or even on our pillows when we wake up – it is a completely normal and daily activity. 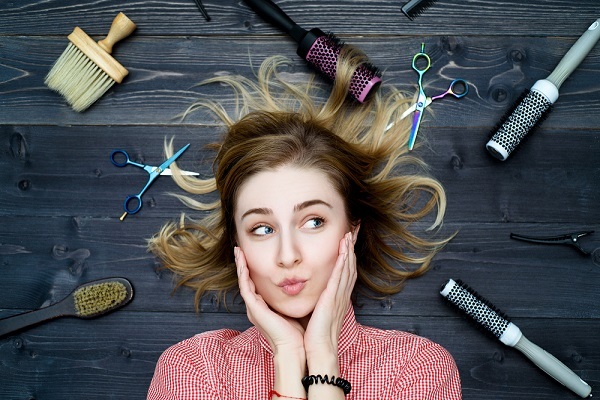 But with all the various things we put our hair through (dying it, straightening, curling… the list is endless), how do we really know when it's too much? And should we be worried? We all want gorgeous, healthy and strong locks so it's no wonder we worry about these things. We gathered some information for you all from dermatologist, Dr. Francesca Fusco who spoke to Harper's Bazaar about what is the normal amount of hair to lose on a daily basis. "Losing between 50 to 100 hairs per day is normal", she told the magazine. "That can look different to everyone and depending on how long your hair is, it can look like a scary amount," she said, adding that the most shedding occurs in autumn. "It's an evolutionary adaptation to keep more hair on your head in the summer months to shield from the sun, so it can look excessive when it falls out starting late August or early September." All you need to do to check if your hair loss is something to be concerned about is to examine the strand: "You should see a little white bulb on the end which indicates that it's a telogen hair, meaning it was ready to fall out and there's a new hair coming out of the follicle behind it." 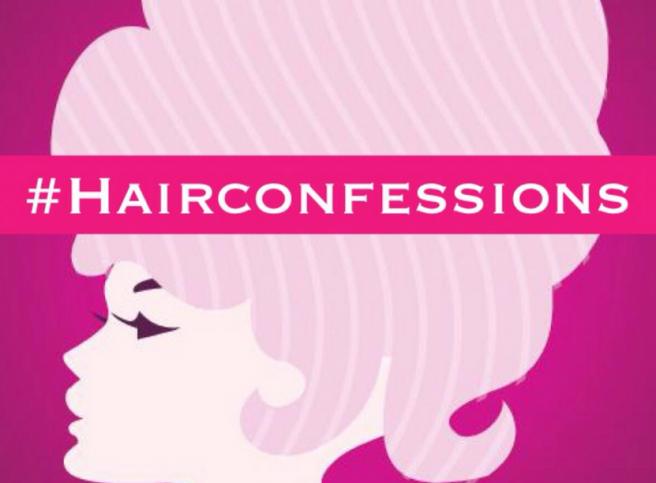 Would you dare to share your #Hairconfession? For a woman, everything starts with her hair. It reflects our personality and when it looks good we feel good. 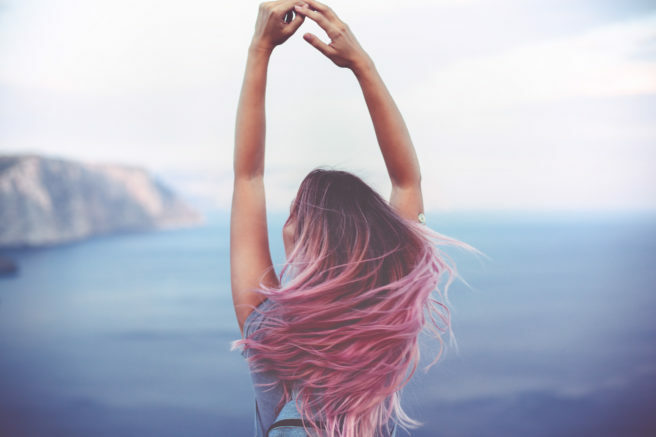 In fact, according to Viviscal’s Hair Confession survey, most women confessed that they would choose a healthy full head of hair over healthy glowing skin, admitting to having a spring in their step when their hair looked good. Unfortunately, just over half of those questioned said they noticed some shedding and hair loss. Thankfully, Viviscal is helping women across the world overcome hair issues with their complete Hair Growth and Hair Care Programme which includes Viviscal Maximum Strength Supplements to nourish from within, Gentle Shampoo, Moisturising Conditioner and Hair and Scalp Serum to invigorate and protect the scalp and prepare it for optimum growth along with Volumising Hair Fibres available in 6 shades to instantly build volume. Viviscal understand hair so it is not surprising they are the No 1 Hair Growth Supplements in the USA, with one box being sold every minute globally in 2013. Viviscal is donating €1 from every completed Irish survey to the Mia Hair Restoration Charitable Trust which provides counselling and treatment for children & young people who have suffered temporary or permanent hair loss as a result of cancer treatment, illness or trauma. Nearly 7,000 Irish women have shared their #Hairconfessions on Facebook and Twitter, are you brave enough to share yours?